Do you have up-coming plans for trips? Where are you going? We know you have a lot of things to do in your bucket list; however, the trips could be more enjoyable if you get good quality of beverages and foods with best electric coolers. Most of the electric coolers could also serve the purpose as a warmer. 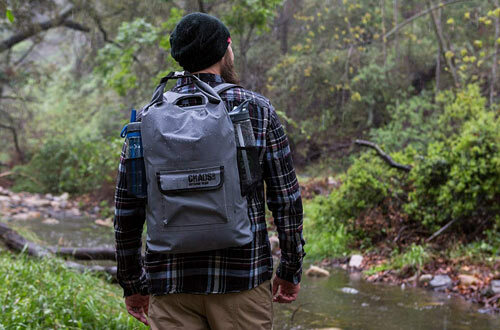 At the same time, it is compact so that you could easily bring the product anywhere you go. 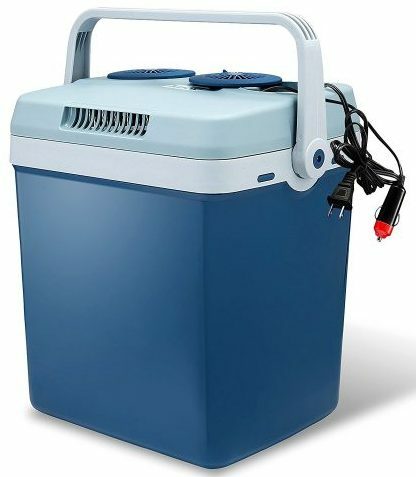 Thus, here are the top ten best electric coolers in 2019. The interior size of Wagon is 46 quarts while it could store up to sixty 12oz. cans. Such capacity could store a whole family’s dinner or lunch. IN addition, the product comes with double functions including warming and cooling function. The cooling function is 36°F in maximum while the warming function is 140 °F. It is recommended that you should pre-chill/heat your items so that the maximum temperature is reached fast. 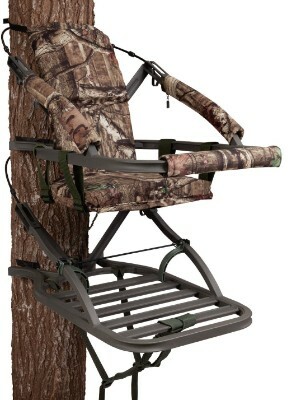 The product is easy to carry as well because there are handlers built in the product. 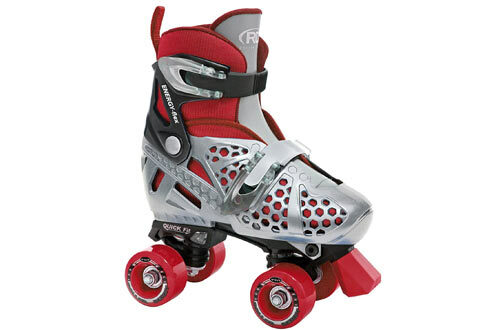 The handles are foldable while the wheels are foldable as well. There are dual doors for top loading so that you could warm or cool your items well. It could be removed for easy cleaning as well. 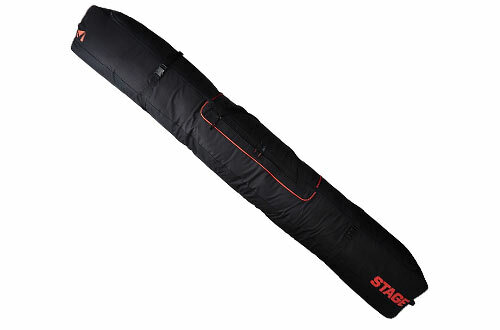 The product comes with an external three-dimension size as follow; 21.75” x 16.25” x 17.25”. 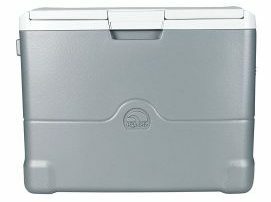 The cooler is a polypropylene type. The product got power from 12V plug adapter. The maximum cooling temperature is 38 DegreeF. The cooling system allows fan to circulate cool air so that both plastic bottles and cans get cool quickly. 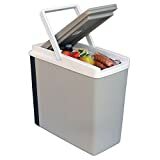 The cooler could be used either horizontal like ice chest or upright like refrigerator. At the same time, you could also adjust food divider. 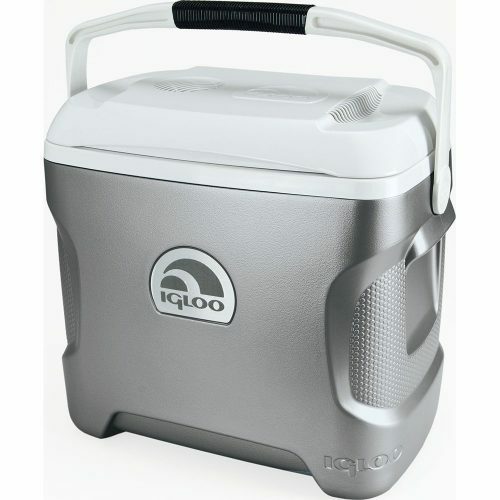 Igloo Iceless’s three-dimension size is as follow; 21.9” x 15.2” x 16.8” while it weighs 18.75 pounds. 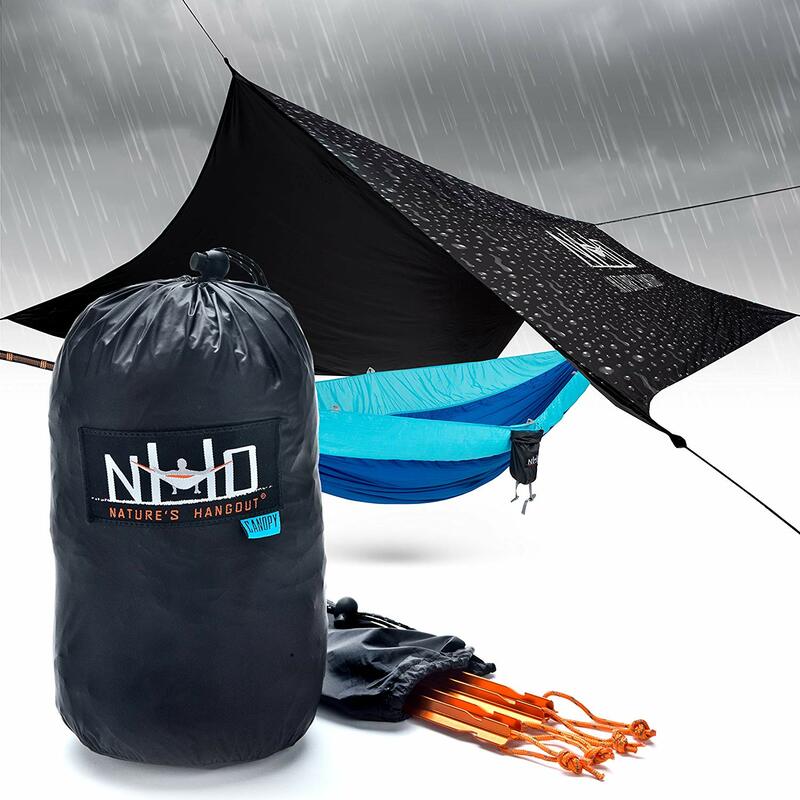 The product is made of Nylon. It could serve as both warmer and cooler. The product adopts thermoelectric system for both warming and cooling system. The maximum chilling temperature is 48°F while the warming temperature range is between 120-140°F. The product got a power cord plug. For the storage of Argus Le, you could serve various items ranging from milk, juice to cheese and pizza. Argus Le’s three-dimension size is as followed; 13.6”L x 9.25”H x 8.07”W. The interior size could support up to 4.75 gallon while twenty cans of soda could be held by the product. 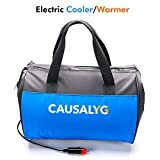 The car electric coolers is easily portable. The product is BPA-free while it could hold temperature up to four hours even without the supplies of power. 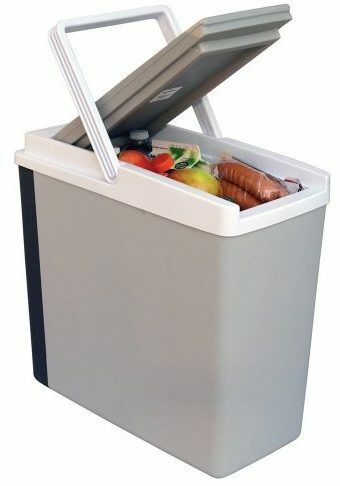 The product also includes a handbag so that you could move the cooler easily. A one-year warranty is attached with the product. Knox is easily portable. The product could serve as both cooler and warmer. The storage container could keep beverages cool or food warm. In addition, there are two cords which you could use flexibly. One cord is for wall outlet while another one is for car power adapter. Knox could store an amount of 48 soda cans. It could also store two-liter bottles while there is still large space for snacks and food. There is a divider so that you could store and organize foods & drinks in two different compartments. 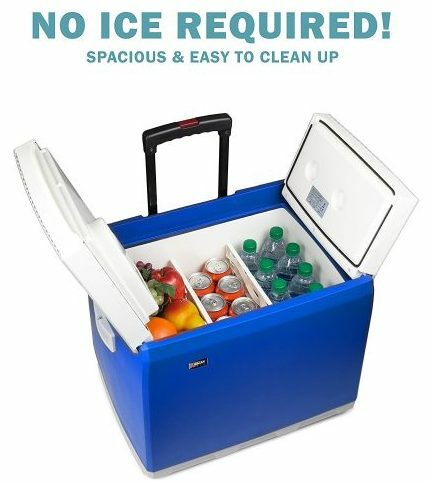 Knox is special because you do not need ice to chill items inside as the product could keep a temperature of 40°F. The handle is ergonomic, and the product has a compact design. Igloo is an electric cooler with a cooling fan that could circulate air. 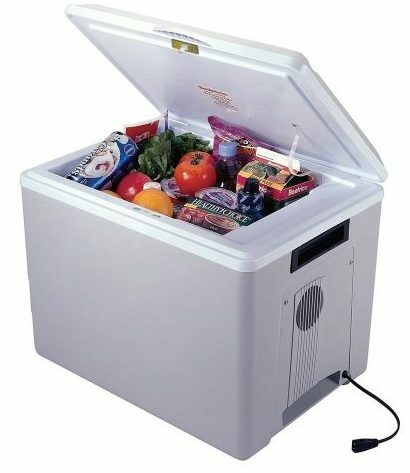 The outdoor electric cooler could keep a good temperature of 38 degree Fahrenheit. 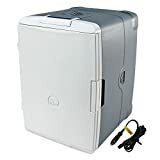 Igloo comes with two orientations; one is refrigerator while another one is ice chest. 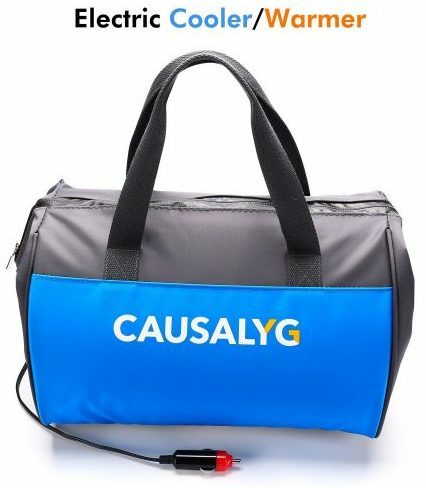 The product uses 12V plug adapter while it complies with 110v outlet. Igloo comes with a three-dimension size as follow; 21.9 x 16.8 x 15.2 inches. Knox Electric comes with a large storage which you could store drink and food for trips. Furthermore, the product could be a warmer or cooler. The storage has a capacity of two liters and some food. The design is slick so that it could get in your vehicle easily. The locking handle is flip-up. The product comes with a three-dimension size as follow; 16 x 12 x 17 inches while it weighs around ten pounds. 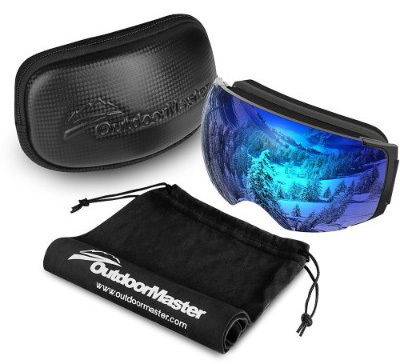 The product is great for trips because it could keep items cool for long hours during the trips. Koolatron is a travelling warmer and cooler. It could be charged with adapter for cigarette lighter. Moreover, Koolatron could stand vertically or horizontally while the shelf is removable. The product provides optimal storage while the access is easy for beverages and food. 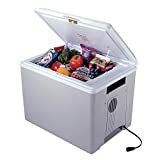 Koolatron could keep a good temperature of 40 degrees F while it could heat up to 135 degrees F. The product comes with a three-dimension size as follow; 15.8” x 21” x 15.5”. It weighs 16 pounds and could store up to 57 cans of soda. Black+Decker could keep temperature of 40 Degree while it could heat up to approximately 120 Degree. Moreover, you could plug the product with your vehicle or from a 12-volt power supplier. The product could be stored either inside the vehicle and hatched. The side storage could be zippered while there is a pouch for accessory. There are two cup holders as well. 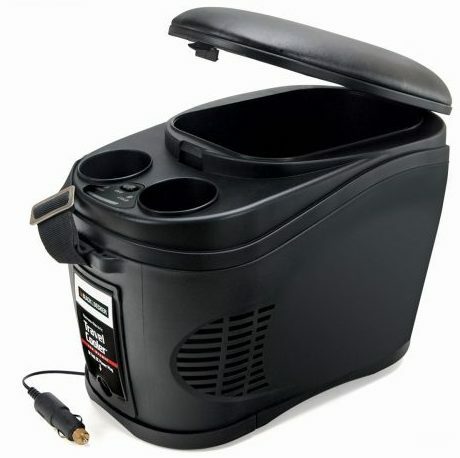 The plug in car coolers comes with a three-dimension size as follow; 17.7” x 13.6” x 10.7”. It weighs 1.92 ounces. Koolatron comes with a gray color. The product has a compact design so that it could fit well to small cars. The materials to produce the product are plastic and folding handle. Furthermore, it uses a 12-volt power to support the system. Koolatron has two capacities. One is to cool down while another one is to warm items. 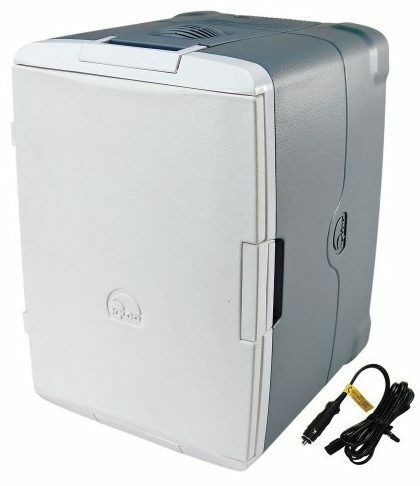 The product complies with a 110/120 volt outlet. 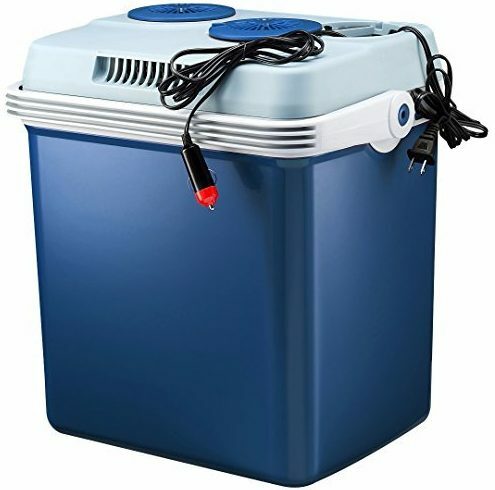 While the cooler performs its function well, it has a quiet motor so that the product is not going to bother you while you are sleeping. 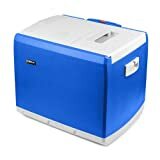 The electric coolers for camping could heat up to 135 degree F while it cools down to 57 degrees. Igloo Iceless could cool down items without ice. At the same time, there is also plenty of space for items. The design is ergonomic while it comes with a curved-back feature. Thus, you could easily hug and carry the cooler. Igloo Iceless has a quiet motor while the fan could circulate air. It comes with an 8-feet cord. 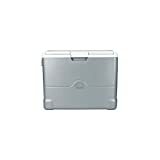 Igloo Iceless comes with a three-dimension size as follow; 18.19”L x 13.13”W x 15.5”D. 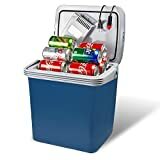 The iceless cooler is perfect for summer trips. 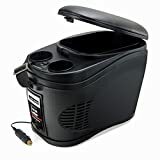 Different coolers come with different sizes and special functions. However, most of them could act as a cooler and a warmer. Moreover, the products have plenty of space so that you could store more items. Also, it could be charged with your vehicle or power outlet. Other benefits include cool design, quiet noise and easy access. If you wish to know more about thermoelectric cooler reviews, please feel free to contact us.